If I have to summarize in one word what my eyes and ears and my digital-native-biased brain have captured, I guess that would be: direct-to-consumer and OTT. Ok, it’s more than one. I get it. But that’s it for me. I am not saying that everything is now about that, and those are the only thing that matters, but regarding attention and focus those were priority one. I have seen all entities both from the sports property and media side addressing either how to create and nurture the direct relationship with fans from physical to digital or how to leverage the OTT opportunity in a fast-evolving space. It’s content and fans, at the core. 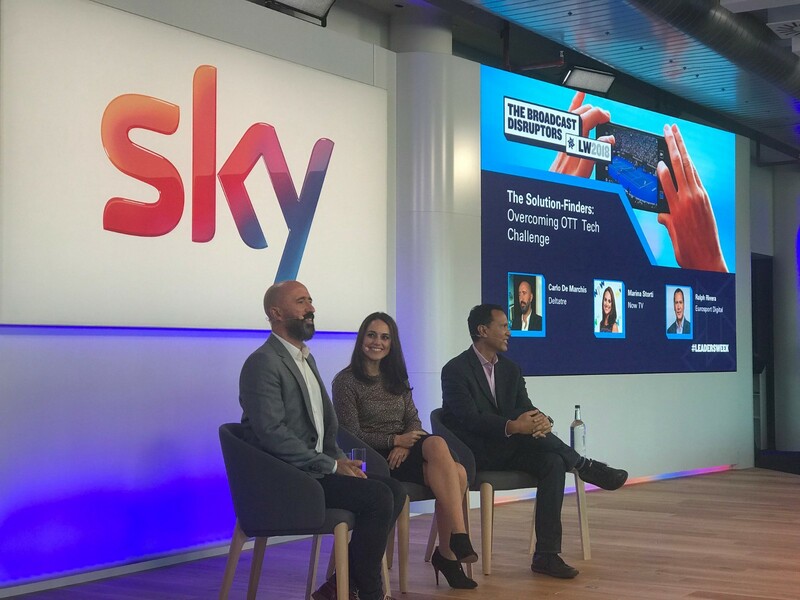 On Tuesday we were at Sky Studios in Osterley, fantastic location and interior design if you like huge spaces, for the Broadcast Disruptors Leaders event. “It was tough at start … but we stuck with it and look at what we have now”. I guess we should do the same with OTT. It was nice to notice like almost all previous sessions had a deltatre’s client involved, ATP, HBS, Premier League, etc. 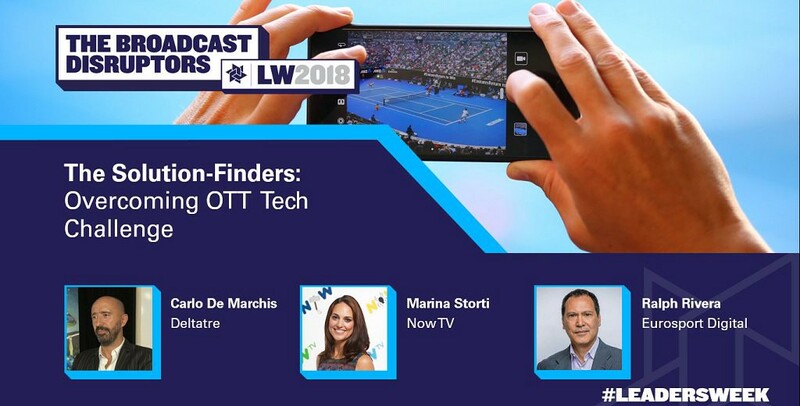 I moderated a short but energetic panel on “The Solution-Finders: Overcoming OTT Challenges.” with Ralph Rivera from Discovery/Eurosport and Marina Storti from Now TV. Two Italians and an American from the Bronx, a dangerous mix. Ralph coming from a successful first with the Winter Olympic Games on the Eurosport platform with great audience numbers, Marina managing the sophisticated challenges of the young free Sky alternative of the more traditional Pay TV offering. We got a lot of attention even on the broader media for sports going OTT, not all positive at times, comparing the simplicity of traditional broadcast TV with the intricacies of internet-based services. On the other hand, users love being able to access content anytime anywhere, they demand it, at a level where they will not be ready to go back. Sports OTT is going mainstream. I mean, even in countries that on the digital side are less developed, like Italy, once prime sports properties, the ones that define a nation are going OTT then it’s a sign we matter. Ralph sharing how Eurosport biggest learning was “how to approach and successfully manage the direct-to-consumer relationships in all its aspects”. Also how the complexity of the OTT supply chain needs a company culture that prepares for failures and is ready to act promptly. On Wednesday I was on stage again for the session we sponsored as deltatre “OTT vs. Linear: Identifying New Global Opportunities.”. That was the last panel of the day and the fact that a full room (and that room is huge) was engaged for 40 mins is a great testimony of how the OTT subject is front and center in people’s mind. Linear vs. OTT and the evolution of how sports properties and media company approach this in a global market, from sell-and-forget to a multi-layer set of relationships and partnerships that need constant engagement. Ipsita Dasgupta from Star India International, Joris Evers from La Liga and Richard Young from Eleven Networks shared their stories and their approach to OTT from three distinct points of view. Richard explained how they believe the rule that forbids to have football shown on “TV” to protect stadium attendance is obsolete and them, with La Liga blessing, want to fight that. Joris: La Liga sees the OTT scenario as a great opportunity for a League that wants to grow internationally, aggressively I would add, as it offers a multiplication of available platforms and partners in the various territories. He expanded on how La Liga’s approach to media partners is based on a continuous engagement to build and grow the audience together harmonizing marketing efforts for a common goal. Richard: Eleven is moving from an initial strategy of buying premium rights in second tier countries like Poland to a more aggressive approach like in the UK, where they now have La Liga and Serie A rights amongst others. With an OTT first approach but open to pragmatically find multiple platforms to partner with their linear channels. 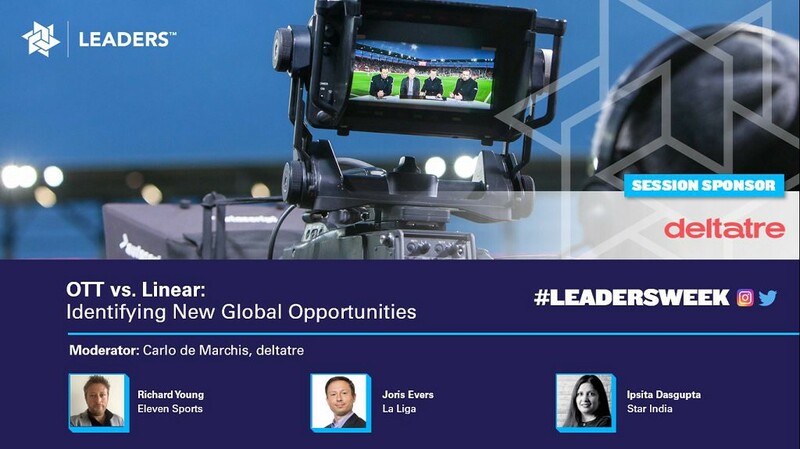 A great surprise at the Leaders Sports Award event for us at deltatre: our client ATP Media’s live-streaming platform, Tennis TV won the On Screen Experience category. Congrats! 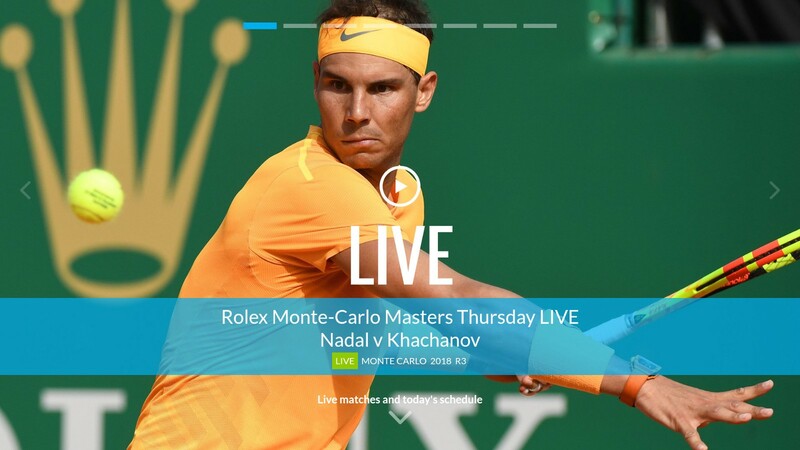 Happy that our radically innovative approach to the TennisTV product design is rocking. Two sessions caught my attention during the day: Amazon Prime Video with Alex Green and Al Guido from the San Francisco 49ers. Thanks to Leaders for a great week in London, James Emmett and David Cushnan — my brothers in crime. Also, with Bob Clayton, Simon Lau and last but not least the CEO James Worrall, they have put together a great show. Next Stop Sportel Monaco then Sports OTT Summit in Madrid. Stay tuned!